When Nokia created the first Windows Phone, people showed much expectation for this new mobile OS. After all, Nokia is one of the best cellphone manufacturers in the world and the Windows Phone OS is developed by software giant, Microsoft. Up to this day, Nokia has launched a series Windows Phone which called Lumia series. But it’s a pity that the real number of Windows Phone user is far less than Android and iOS – the other two mainstream mobile OS. I don’t think this is Nokia’s fault as everybody can see that Lumia phones are all have extraordinary design. Actually it’s the series of shortcomings of Windows Phone OS which make this. If you don’t use a Windows Phone, you can never imagine how many unreasonable designs this OS have. 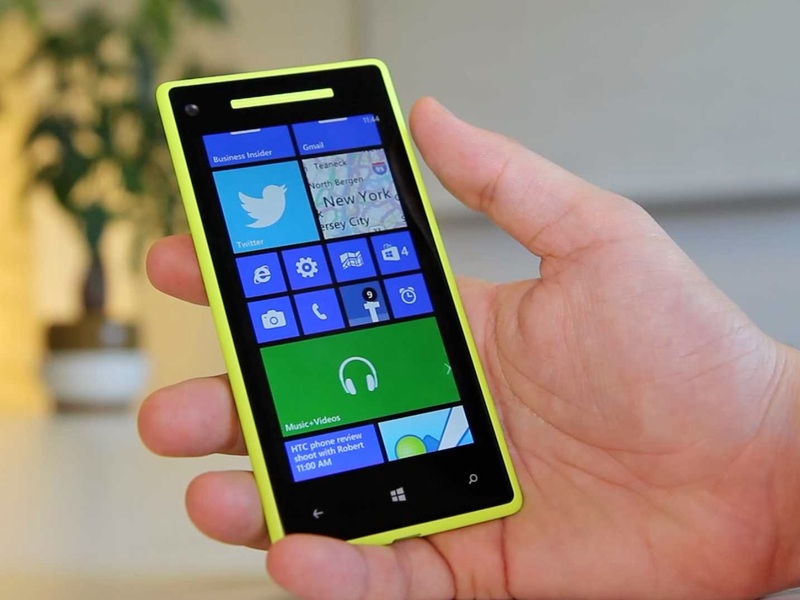 In this guide, I list the 5 main shortcomings of Windows Phone. Just read it and you may know why Windows Phone is not so popular today. Obviously, this is the main reason why few people choose Windows Phone. People choose smartphone because they can install many third party apps on it to implement different functionalities. We all know that there are countless apps and games for Android and iOS, but what about Windows Phone? Microsoft claims that there are more than 170,000 apps in the app store. This data looks like not so bad. But actually in the 170,000 apps, high quality apps only play a small part. The rests are simple ones. Many common apps don’t have Windows Phone version. Even there are corresponding ones, they are not as good as Android or iOS version. There may be two reasons for explaining why Windows Phone is lack of apps: one is that Windows Phone is a new OS and the other reason is that it’s a closed platform and Microsoft doesn't provide enough API to developers. On most phones the volume setting for system and media are separated. We can set a loud ringtone volume and proper music or video volume at the same time. This is very reasonable and necessary. But on Windows Phone it’s very weird that you can only set one volume setting for all. If you want to make the ringtone louder and set the volume at maximum, then the music and video volume are very loud too. I bet your ear can’t tolerate such big sound when you listen to music or watch video with a headphone plugged in the phone. And if you just reduce the media volume, then the ringtone volume may be so low that you may miss some phone calls. What an unreasonable design! The auto-rotate screen feature is useful when you watch video or play game. But it’s not necessary at any time. Some time it rotates the screen just because you are not holding the phone vertically. But actually you don’t want the phone in landscape mode. So I often turn off the auto-rotate screen feature on my Android phone and I can turn it on at any time. But you can’t do this on Windows Phone. The Windows Phone doesn’t provide any option to turn off the auto-rotate, in another word, it’s always on. That would be very inconvenient if you lay in bed or sofa as you can't hold the phone in one hand. Although there are some hacking and third party apps for disabling the auto-rotate screen on Windows Phone, they are only suitable for some devices, not for all. And it requires a reboot every time you change the auto-rotate screen feature. The notification center of Windows Phone is just a joke. The notification bar only exists for several seconds. When you notice that there are some new notifications and unlock the screen, you may not find the notification bar again. In this situation you don’t know what notifications you just received at all. You have to check every title on the screen to see which app has new notifications. Maybe you spend some time finding new notifications but finally what you really get are just useless notifications! Think about Android and iOS, the notification bar can stay for a long time that you can see what kind of notification you get and decide whether to check them or not. Many people like to use their cellphone to watch video. But I would not recommend you use the Windows Phone to watch video. That’s because Windows Phone only supports very limited video format like MP4, AVI, WMV, etc. Popular video format like MKV and RMVB can’t be played. You may want to install other video players. But unfortunately, even the third party video app can’t play them either. Some video app may play but the output video pictures are very bad. The best ways is to convert the video into MP4 format. You can check this article: how to play video on Nokia Lumia 1520. Eddie Hone works for imElfin, a professional media software provider which focus on Blu-ray, DVD, music and online media. He is interested in consumer electronics and web design.